Millions of listeners on Tidal are waiting to LOVE your tunes. Reach them today. Get your track featured on a premium playlists with a huge following and streamed 24/7 for months. Dozens of streams daily. Gain new listeners while getting paid streaming royalties. Tidal pays 0.0053$ per stream. Main > Streaming Promotion > Tidal Promotion > Push Track on 2x Tidal Playlists. 4 Months 24/7. Push Track on 2x Tidal Playlists. 4 Months 24/7. Ready for takeoff? Because your music's going to FLY high in the music streaming universe. 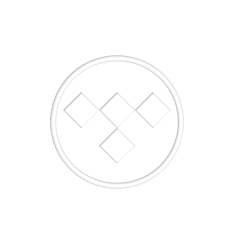 Dominate Tidal, with 24/7 streaming of your track for four months! This is yet another music streaming promotion services. With this pack, you get to push one track on SIX Tidal playlists, curated by a verified premium acount. Your track will stay there 4 months and be streamed every day - 24/7. A song in these 6x playlist gets a total of around 60-120 streams a day. Within 5 days after your order & payment, we'll send you proof links of your track up there in the streaming cloud. Feel free to come back every day to see how it feels to see that stream count rise steadily (spoiler: it feels real good!). Note that, since providing this service bears considerable costs for us, if your song is 6:00 minutes or longer you'll have to order it twice. Just order one additional product and let us know in the message section.